As many of you know I had a flower shop in town for over 11 years. With being an entrepreneur comes hanging on to company files, usually for a minimum of 7 years. I recently decided our basement was getting a little out of control. 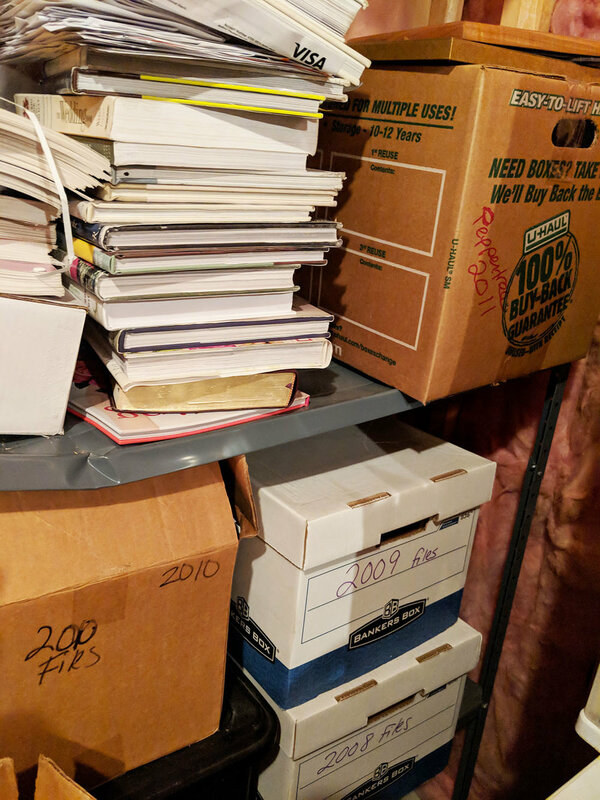 We have hand-me-down lamps we never used, craft supplies my kids are long over, and all these boxes and boxes of old company files. Since I closed the doors of Peppertree Floral back in 2011 I can now safely dispose of all my files. 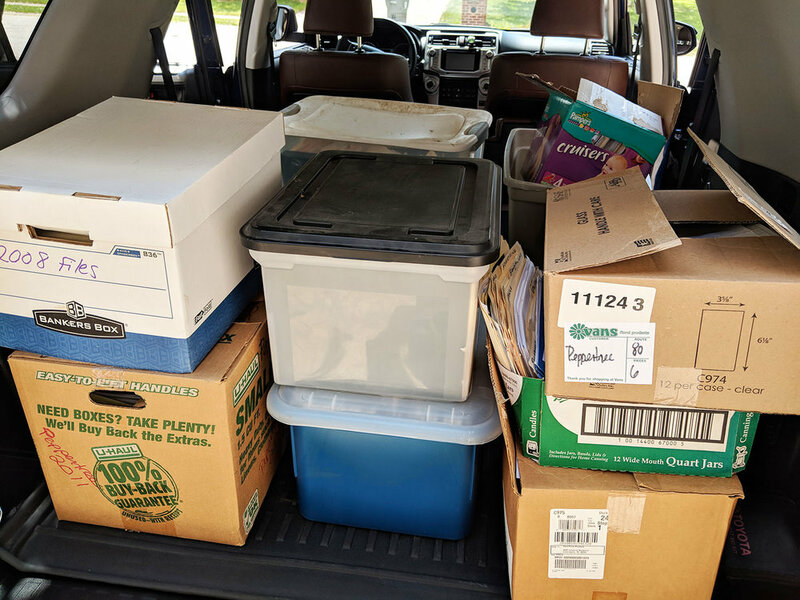 I have never had a situation quite like this and I knew with all the confidential and personal information in those boxes I couldn’t risk just throwing it my recycle bin. I talked to my favorite organization junkie, Cheryl Smith, and she suggested Shredding and Storage Unlimited on South Walnut. As I pulled down each box, I went through them to make sure there wasn’t anything I wanted to keep. I found old photos, thank you cards, and so many memories. I decided to keep some of my favorite photos as well as the annual tax returns and employee tax files. I went from over 10 boxes of paperwork down to just one. I loaded it all up in my car and brought it down to Shredding Unlimited. I couldn’t believe how easy it was. The boxes were taken out of my car and I was on my way within minutes. I would encourage you all to do this as well. It was so simple and cheap. Those bills and receipts are only adding to the clutter in your life. The unintended consequence of this is that after those shelves were cleared out I couldn’t stop. Now I have a whole garage full of items for donation. So glad to have less things to worry about.